With Gala Partners you can be part of the Gala affiliate program and promote casino, poker and bingo brands to your website visitors. Gala is probably one of the most popular gambling brands in the UK and made its reputation on the back of nationwide-offline bingo halls long before the online gaming phenomenon hit the big time. As an affiliate working with Gala you can be sure you have peace of mind working with an established and popular brand. They offer excellent revenue share commission plans up to 35% across all markets and are known for their high conversion rates of customers. 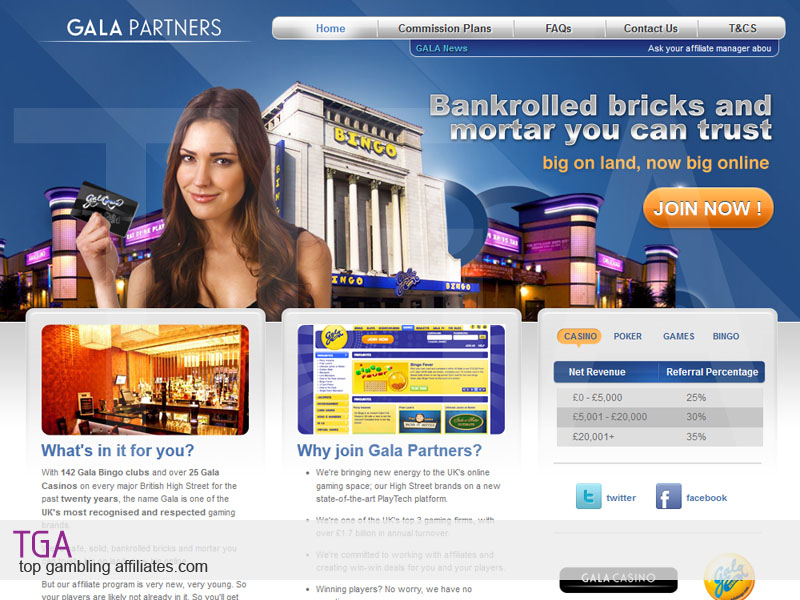 Gala are constantly expanding and heavily promoting their casino, poker and bingo sites both online and offline. Giving you the chance to take advantage of this exposure and send referrals across by the dozen. They provide excellent customer support, prompt monthly payments on commission, and a wide range of clever marketing tools to aid you in your successes. 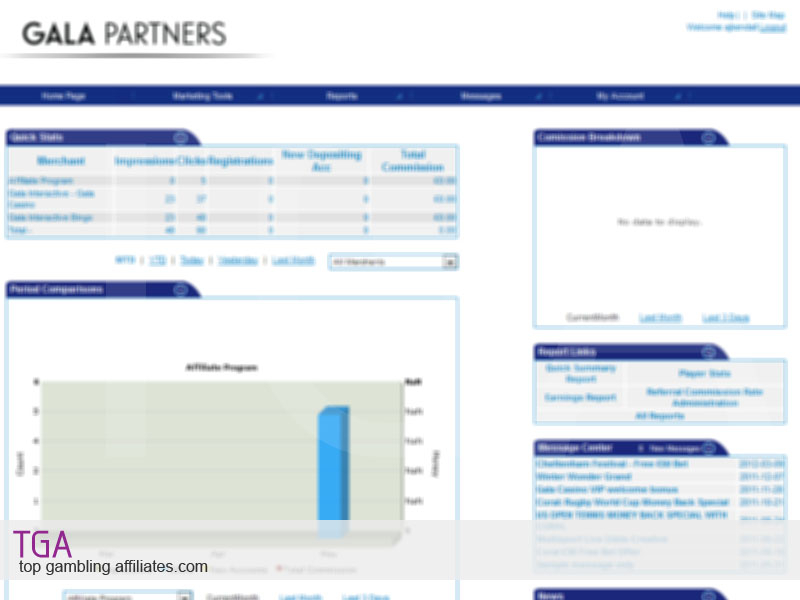 Gala Partners make affiliates feel valued and work closely with them to ensure high player retention, lucrative bonus deals and an industry-leading CRM platform that makes managing your referrals easy. This entry was posted on Tuesday, May 14th, 2013 at 2:52 pm	and is filed under Affiliate Programs, Bingo, Casino, Poker. You can follow any responses to this entry through the RSS 2.0 feed. Both comments and pings are currently closed.